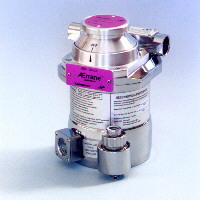 ASE can supply a number of styles of both new and reconditioned vaporizers for all the commonly-used inhalation anesthetic agents, including halothane, isoflurane and sevoflurane. Reconditioned vaporizers are disassembled, cleaned, rebuilt and recalibrated in our facilities and are available at approximately half the cost of a new unit. Reconditioned vaporizers carry a 5-year warranty. 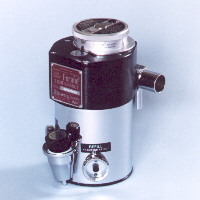 Vaporizers are available with either a funnel filler or a key fill system, which is designed to prevent filling the vaporizer with the wrong agent. Key fillers are therefore particularly recommended when more than one anesthetic agent is used in a practice. 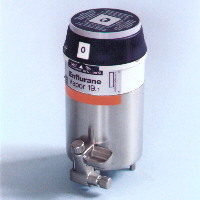 The key filler also prevents loss of anesthetic when the vaporizer is filled, thus reducing atmospheric pollution and wastage of expensive anesthetic agents. Vaporizer manufacturers recommend annual maintenance for most models currently in use. If they are not serviced regularly, buildup of preservatives and contaminants in the internal channels results in loss of accuracy, sticking of the dial and, in severe cases, internal corrosion and damage that may render the vaporizer unrepairable. ASE services and recalibrates most current and obsolete vaporizers promptly and at very competitive rates. 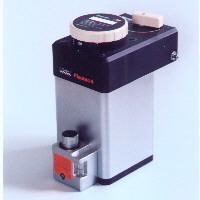 ASE can repair most current and obsolete models of vaporizer. Our ability to make a repair, and its cost, will depend upon the nature of the problem and the availability of spare parts. Brackets and adapter kits are available that allow fitting of a precision vaporizer onto many older machines not originally designed for use with out of circuit vaporizers.